The old cottages of Kill Devil Hills have stories to tell. For those of you who have been to the Outer Banks, you know locations are specified in terms of MilePosts. 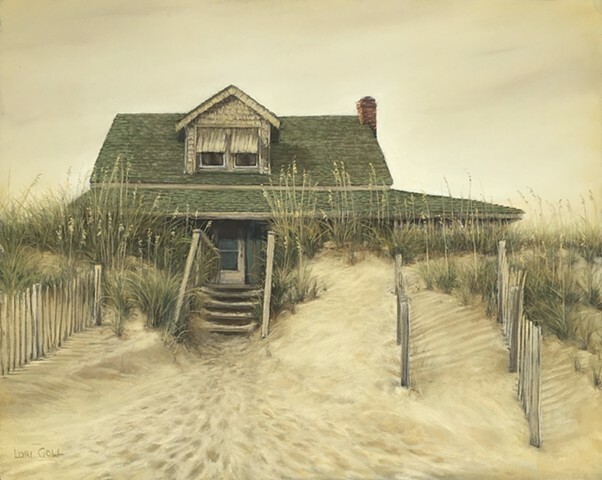 I have painted portraits of many of the old weathered cottages like this one near MP6, nestled in the dunes and surrounded by sea oats. An old surfboard marks the beaten door at the top of the sandy stairs.